In July of 2010 the Board of Directors of the Malpai Borderlands Group voted to establish a scholarship fund, in the memory of former Malpai Board Member Rob Krentz, to assist worthy high school graduates in the Malpai Borderlands region with furthering their education. Scholarships will be given annually to a student (or students) in any subject. Financial need and scholastic achievements will be the main considerations for the scholarship. Much has already been written and broadcast about the tragic death of Rob Krentz. On March 27, while checking livestock and wildlife waters in one of the pastures on his ranch, Rob was shot, apparently without provocation, by an unknown person. Tracks of the killer went into Mexico and the area is part of a corridor that has been used for smuggling activities. It appears to have been a case of Rob being in the wrong place at the wrong time. Those of us who live here know that Rob was in the right place – on his ranch, doing what he was supposed to do. We were and are shocked, outraged and saddened by the loss of our friend, neighbor and colleague. However, the fact that something horrible happened here did not surprise us. We had predicted that such a thing was likely to occur and had been asking for more enforcement attention for this neglected part of the border. It took the murder of one of us to finally get it. Not as much has been written about the way Rob Krentz lived. Rob epitomized what the Malpai Borderlands Group is about. If any one thing could be said to characterize Rob, it was his generosity. He had a hard time saying no whenever asked to lend a hand and often went out of his way to help others when he saw the need, asked or not. This generosity extended to strangers as well as to friends and neighbors. Rob was a religious man and he really believed in being "thy brother's keeper". He was also strongly dedicated to the ranching tradition and to the stewardship that has kept the Krentz Ranch going for over 100 years. The Krentz family demonstrated their commitment to the goals of the Malpai Borderlands Group to "protect a healthy, unfragmented landscape" and "encourage profitable ranching and other traditional livelihoods which will sustain the open space of our land for generations to come" by conveying a conservation easement on their ranch to the Malpai Borderlands Group in 2003. That means that their beautiful ranch that runs from the Chiricahua Mountains well into the San Bernardino Valley that will never be subdivided. Rob Krentz had another passion besides ranching. A graduate of the University of Arizona , he believed very strongly in the importance of education. Rob saw all three of his children attend college (two graduated from New Mexico State University) and he sat on the school board for the one-room school in Apache, Arizona for over two decades. If there was an FFA field day, a 4H competition, or anything involving kids and education going on, no one was ever surprised to see Rob involved. He also believed in education being a life-long endeavor. Rob was a recent graduate of Project Central, the Center for Rural Leadership, and he demonstrated his leadership by serving as President of the Cochise-Graham Cattle Growers' Association and as Chairman of the Whitewater Draw Natural Resource Conservation District, in addition to his service to the Malpai Group. It is fitting that the Malpai Borderlands Group honors Rob Krentz by establishing this scholarship that bears his name. Madison Michaels is the 2017-2018 recipient of THE ROB KRENTZ MEMORIAL SCHOLARSHIP. She is currently a senior at Willcox High School. 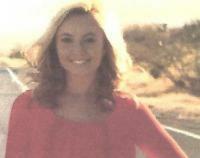 Maddee has attended Cochise College while in school and is active in rodeo, FFA, 4-H, basketball and a class officer. Madison plans to attend New Mexico State University and major in Animal Science with a minor in Agriculture Business. 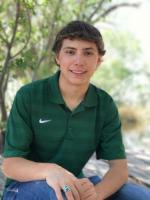 Rayce is a sophomore this year at NMSU where he is pursuing a Major in Agronomy. Kaleigh is junior at NMSU where she is majoring in Animal Science She is in good standing with a high GPA and she plans to focus on equine medicine. 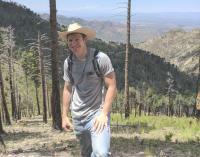 Zachary is a Junior at NMSU where he has maintained an excellent GPA. He is majoring in Electrical Engineering. Dallas is a senior at NMSU where she enrolled in summer school so she can graduate early. She will graduate with a 3.8 GPA. She hopes to find work in Agriculture Education.